"Great Place to Park Flip Flops"
Size: 1,500 sq. 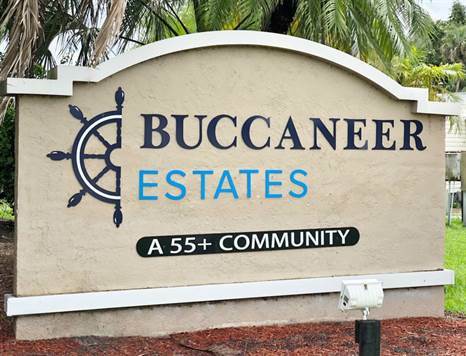 ft. "Includes Florida Room and Laundry"
Located in friendly Buccaneer Estates this 1979 CLAS could be yours with park approval. With the glass windowed Florida room, total square footage is almost 1,500 sq ft. The open, easy flow makes entertaining a breeze and relaxing as it should be. Best of all, NO BACK YARD NEIGHBORS! This home will be furnished enough to bring your clothes and toothbrush to begin living your happy life here.